Dealership marketing is not for the faint of heart, and OEM programs are daunting to even the bravest marketers. See how one service director solved the problem of defining his own dealership values while still supporting his OEM. OEM providers like DME (Autopoint), Aspen (Epsilon), and GS marketing all have to rely on Toyota to get our customer data for marketing. 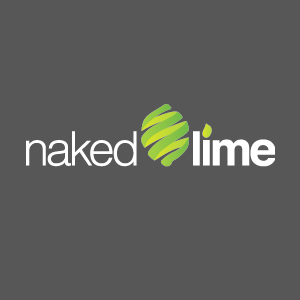 Because Naked Lime can access our system, they know how many customers we have, who they are, and how quickly they can get something turned around. That makes such a huge difference. As I’ve said to Toyota, I understand they want us all to look the same, I get that. But, that’s not who each one of these dealers are. Each dealer is different. Each dealer has its own personality. Each dealer does different things in its own community. Let us share those things. OEM providers do what Toyota wants. Naked Lime does it the way the store wants it done, so we use two providers for different marketing—it’s kind of like teamwork. Some of the stuff that Toyota does is on a national level, not local. Naked Lime helps us do things that make something happen here. One thing Naked Lime does really well for our store is our declined service recommendations. I send a reminder out at 14 days if someone declines a service, and then again at 30 days. I get incremental service business off of those two emails. And while I focus on service marketing, there are times when that customer’s “trade in light” is on, the customer just doesn’t realize it or they can’t trade in at the time, but we can keep bringing them back into the store until they do. My advice to other dealers considering Naked Lime would be to look at your current numbers. If they’re not growing, look hard at Naked Lime to help you. They are easy to use and work with. And we’re one of the top producing metros in the country as a result.